A self-storage unit is a safe and secure place to store everything from precious antiques and family heirlooms to extra furniture and seasonal clothing. Some storage units are even big enough to house cars, boats, and motorhomes. While you might not think you need a storage unit, there are in fact numerous occasions where it makes perfect sense to rent a unit from a self-storage facility. Here are just a few of the most common reasons people rent storage units in Mountain View . If you are getting ready to move, renting a short-term storage unit can help the process go more smoothly. Boxing up all of the non-essential items in your home and moving them to a storage facility will free up a lot of space in your home, which will make it easier for the moving company to get all of your bulky furniture and expensive belongings. Whether you are downsizing to save money or live closer to the city, you will most likely not be able to bring everything along with you to your smaller home or apartment. If you have a lot of large, bulky furniture items, consider storing them until you know what your permanent living arrangements will look like. A lot of students utilize self-storage while attending college. Dorm rooms and apartments are often too small to bring all of your things from home, so keeping them in a storage until clears up space for your parents or siblings that you won’t need while you are away studying. If you’ve been planning a six-month backpacking trip across Europe or a road trip across the United States, don’t let your stuff hold you back. If you are moving out of your home or apartment and can’t bring all of your things with you, place them in storage and know that they will be waiting for you when you get back from the trip of a lifetime. A lot of Americans are downsizing their homes, and not all of them are doing so because they have no other choice. If you’re getting older and your children have moved away from home, it might make a lot of sense for you to move into a smaller home or apartment. In addition to the money you will save, you may also enjoy more time for yourself and be closer to more modern conveniences. For more advice on whether or not you should downsize, watch this brief video clip. If you are downsizing your home, find a self-storage facility in Mountain View . Having a place to keep your extra belongings, especially the most important and valuable items, can help ease the transition to a smaller home. These days, you can have just about anything the way you want it. Extra pickles, extra mayo on your burger? No problem! Want that leather couch in red? It’ll be here in a week. Fortunately, the same can be said when it comes to your storage options. Some self-storage facilities in Mountain View will allow you to customize your storage unit rental to fit your needs. Here are some things to think about that will help you get the most out of your storage unit rental . While it isn’t necessarily the case that no two renters are alike, a lot of people who rent storage facilities do have different billing needs. Whether you are renting a short-term unit, a long-term unit, or you aren’t sure how long you will need to keep your belongings in storage, customizable billing options allow you to pay for your unit whenever is best for you. Add online bill payments or automatic withdrawals for added convenience. How long you will require a storage unit depends on a number of different factors, the primary one being why you are renting a storage unit in the first place. Whether you are staging for a move, downsizing your home, combining households, or away at college, you should be able to determine how long (or how short) your storage rental is. If it is the case that you will have your belongings in storage for quite some time, look into pre-payment options that can help save you money in the long run. By pre-paying for your self-storage unit in Mountain View, you may be able to receive a sizeable pre-pay discount. Some storage facilities may even offer pre-payment options for short-term rentals as well. And to make sure you don’t pay for more time than you need, look for a storage facility that offers prorated storage refunds for mid-month move outs. If you are packing up your things and getting ready to move them into a storage unit, you will undoubtedly find yourself taping dozens if not hundreds of moving boxes. To keep your belongings secure, be sure to follow proper taping techniques. For starters, use packaging tape instead of scotch tape or masking tape. Once you tape the bottom of your box, fill the box to the very top for added support and stability. Then, fold in the smaller flaps followed by the larger flaps and tape the box closed using the “H” pattern. To see what this taping pattern looks like, and to learn other taping tips, watch this short video clip. Once you get all of your boxes taped up, be sure to find a quality storage facility near Mountain View to store your belongings. 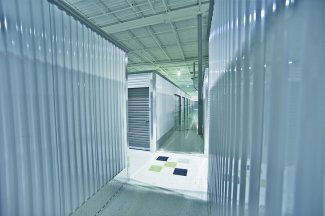 Don’t settle for the first storage facility you find, but look for a facility that is clean, safe, and secure.